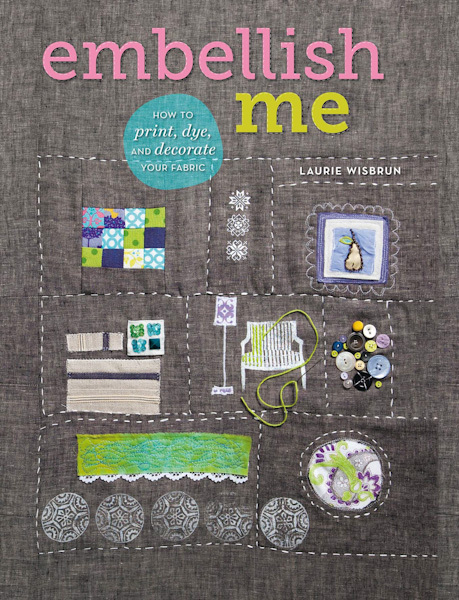 This lovely new craft book, Embellish Me, by Laurie Wisbrun, features a section on cyanotype printing written by me! I just got my copy in the mail and I am pleased as punch. 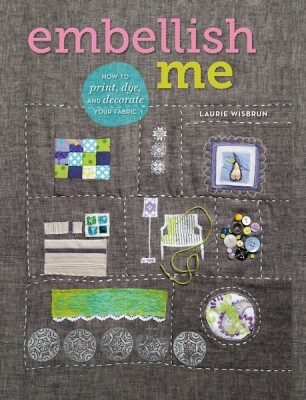 The book is a collaboration of several authors and features dozens of step-by-step tutorials on a wide variety of fabric embellishment techniques. My cyanotype section has tutorials to get you started with basic cyanotype printing and the more advanced multi-color toning. 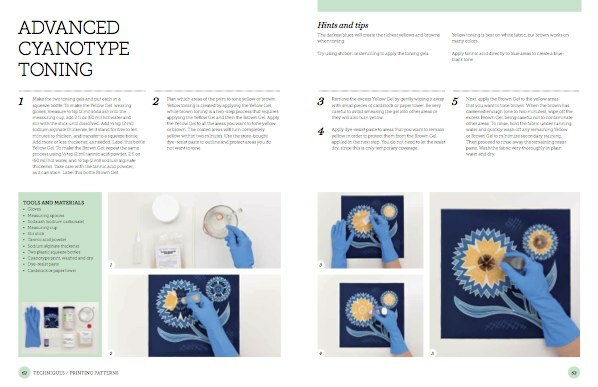 I am so pleased to have this opportunity to bring cyanotype fabric printing to a greater audience. Yeah!